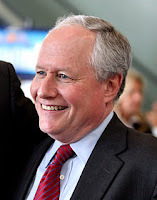 Bill Kristol, founder and editor of the conservative Weekly Standard magazine, made an interesting acknowledgment on Fox News Sunday to many conservatives. The reason I want to point this out and thank him for doing this is because I have criticized him before for not apologizing to conservatives when he blasted conservatives during the so-called "Arab spring" when we warned about the Muslim Brotherhood possibly taking over Egypt. He not only criticized us, he belittled us in the way he did it by calling us silly unrealistic fear mongers. It turned out we were anything but unrealistic. Thank God the Egyptian military is strong and they not only kicked the Muslim Brotherhood out but have kept them, for the time being, from regaining power. So, the acknowledgement Bill Kristol made Sunday morning pleasantly surprised me. Bill Kristol was a supporter of the president's call for a resolution in congress to give him the "authority to use military force" against Assad [Syria]. At least in his support for AUMF, he didn't belittle the conservatives who disagreed with him like he did on the Arab spring issue. On Sunday Bill acknowledged that he could see our point in opposing giving this president that authority to use military force. He said the president showed so much incompetent [and cavalier-my words] behavior on such a serious issue that he not only could understand those conservatives opposed to a resolution, but thinks he himself might now oppose it. First the president undercut his own Secretary of State, John Kerry, after Kerry told of the urgency and necessity for military action, but then the president came out and said he would go to congress as the matter could wait [right before he trotted off to the golf course]. Then you had the president double down on giving a muddled message to the people of the country by giving a speech in the oval office of the importance of military action because of the inhumane use of chemical weapons being used against children, but in the next breath saying there should be a pause in the discussion for military action to give diplomacy a chance. Then you had the strange, stupefying rhetoric from Secretary of State Kerry that any military strike would be an "unbelievably small" strike. I guess it wouldn't really be a strike at all. But the remark that I think broke the camel's back [i.e., changed Bill Kristol's mind] was when the president said [lied] , what red line--"It wasn't me who called for a red line..."
All of those events showed such a lack of seriousness, showed so much incompetence, and were so un-presidential that Bill Kristol asked how anyone could blame those conservatives who opposed giving this commander-in-chief the authority to use force. The way I put it is, "how can you trust this president?" So, Tales says thank you Bill Kristol for making that acknowledgement to conservative Republicans. Now if you will only acknowledge that we [conservatives] were right about the dangers fraught with the Arab spring and you were wrong for putting us down so quickly, I will really be pleasantly surprised.